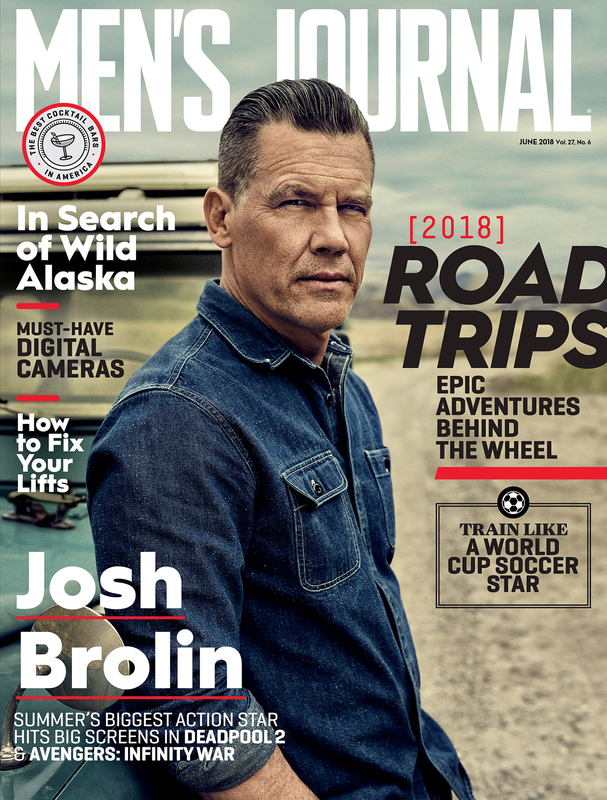 There are few summer travel plans that pack in more fun than road trips, so the June 2018 issue of Men’s Journal is dedicated to the most epic adventures you can have behind the wheel. In our road trips feature, you’ll find a mediative jaunt from New York to Tennessee, a skateboarding-laden roll down California’s iconic Highway 1, and a scenic drive across Newfoundland—basically the Scandinavia of North America. There’s no shortage of ways to enjoy yourself on four wheels (or even on six, if you’re taking the RV route). And because this is Men’s Journal, we’ve included all the best road snacks to grab along the way, the podcasts that will keep you from going stir crazy when your playlist runs out, and the essential gear to make the trip a success. Speaking of gear, this month’s deep dive on all the cool stuff any well-equipped man needs includes affordable DSLR cameras, the best new surfboards, stand-out retro turntables, and fast electric bikes that look like your favorite drop bar rides. With summer on the horizon, we’ve got a jump on the hottest shades and lightweight sport coats; as well as innovative ways to get in shape for beach season, including soccer-style agility drills, and a better way to approach high-intensity weight training. If you’re looking for a great read, there is author Mark Adams’ adventure in Alaska as he follows the itinerary of 19th Century explorer John Muir in search of little-seen glaciers. And don’t miss the profile of cover star Josh Brolin, who is outshining all the heroes in the new movie The Avengers: Infinity War as the larger-than-life villain Thanos. As writer Mickey Rapkin found out, Brolin had to wait a long time before Hollywood took him seriously enough to cast him in blockbusters like No Country For Old Men, but with two other film debuts on the calendar for this year (he’s also starring in Deadpool 2 and the upcoming Sicario sequel), it’s undoubtedly the Summer of Brolin.